The Xcarlink VW Parking Assistance Rear camera interface is an aftermarket add on for the Golf MK 7 which provides a full OEM style parking system with moving guidelines. 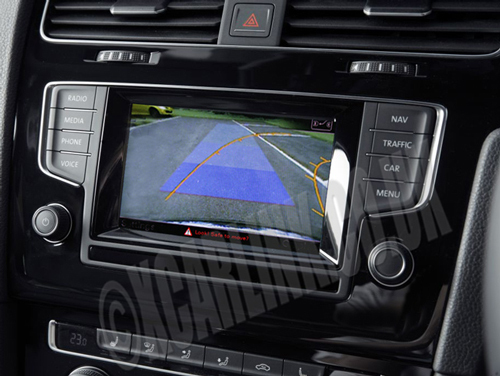 The reverse camera image is automatically displayed on your original Golf Mk 7 screen when the car is in reverse gear and the image is overlaid with coloured graphics and shows the path that the vehicle will take based on the position of the steering wheel. 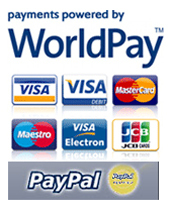 There interface does not replace your original system - it offers perfect integration to maintain your OEM appearance. 1 x Front Camera input with Auto front camera activation. Plug and Play connectors for easy installation without cutting any wires etc. Works with both the 5.8" Composition screen and then full Navi 8" screen.